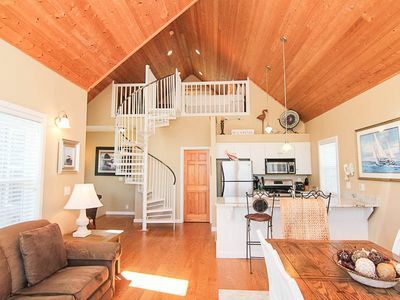 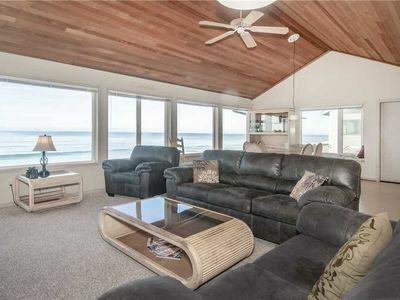 Huge Vaulted Great Room, Private Beach Access, Oceanfront, Two Fireplaces! 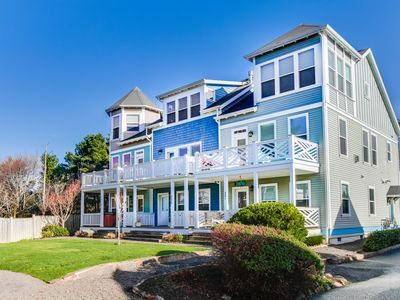 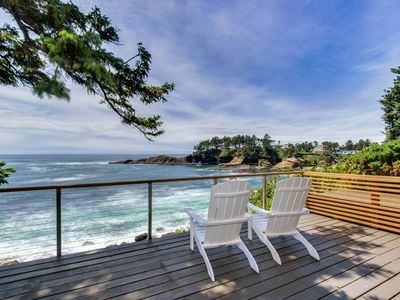 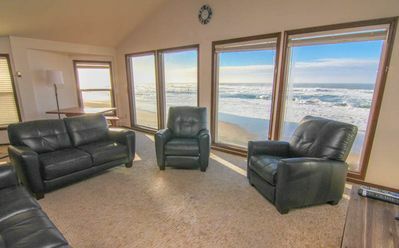 The soaring floor-to-ceiling windows of this oceanfront home bring you fantastic views of the surf and sand of Roads End beach in north Lincoln City. 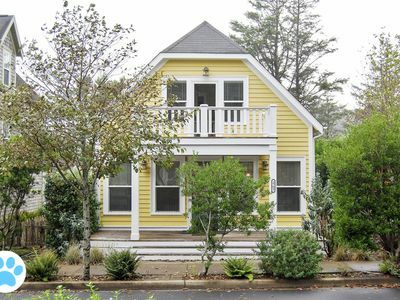 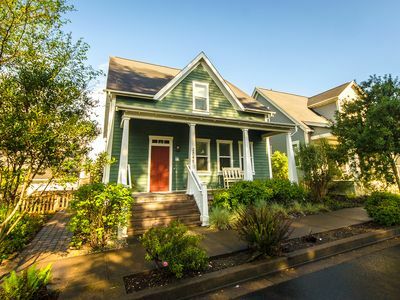 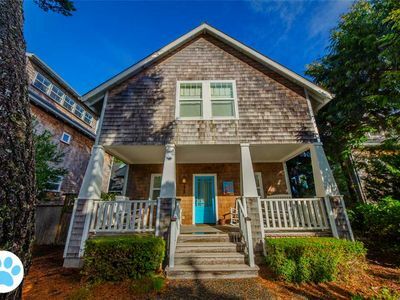 With five bedrooms and three baths, you can invite friends and family to join you for a relaxing, oceanside retreat. 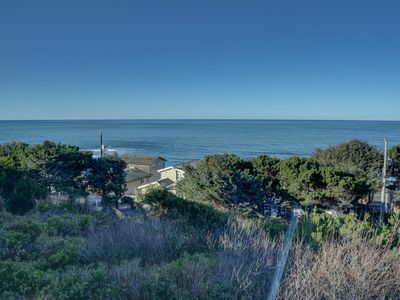 The main living space is on the second floor for panoramic views from the clifftop location; huge windows line the western side of the home, bringing in light and endless beauty. 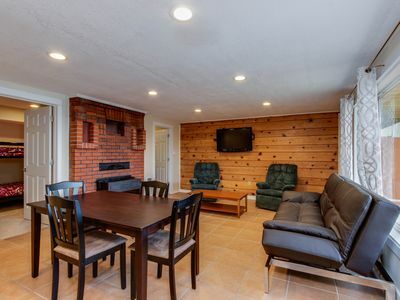 The cool, contemporary leather furniture, flat-screen TV and gas fireplace give you and your guests a great place to sit back and relax. 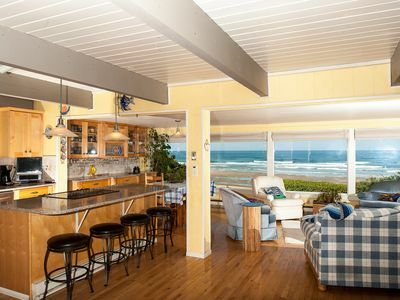 The newly remodeled kitchen has stainless steel appliances, new floors and cabinets and island seating. 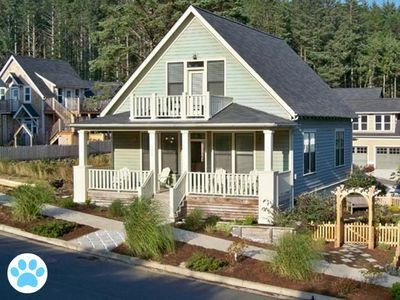 Two third-floor bedrooms are enhanced by a bonus room that includes a TV and gas fireplace for added enjoyment. 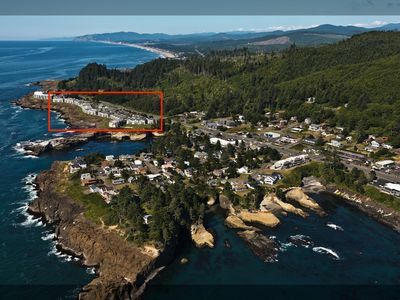 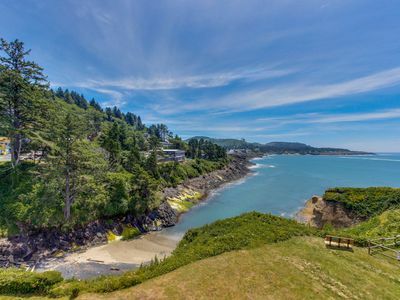 Outdoors, you have your own private staircase right to the beach, where you can walk for miles or enjoy exploring the rocky point of Cascade Head. 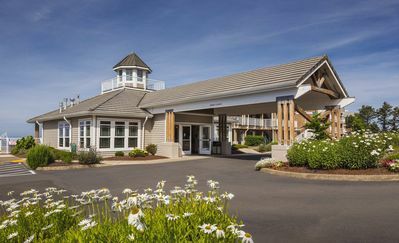 Roads End puts you just five minutes from the Chinook Winds Casino, many dining and shopping options and a forested golf course. 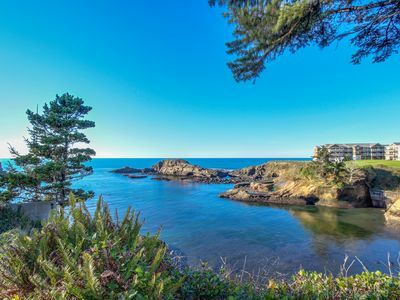 Try Stairway to Heaven for your next coastal adventure—it may become your go-to for many future stays! 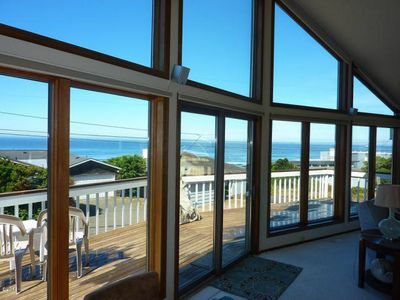 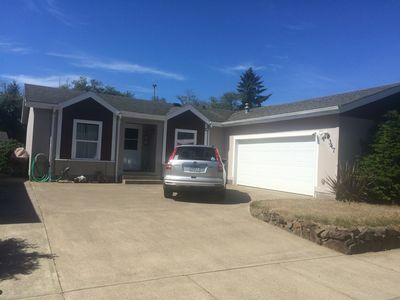 Fabulous Roads End Ocean View, Easy Beach Access, Game Room, and Hot Tub! 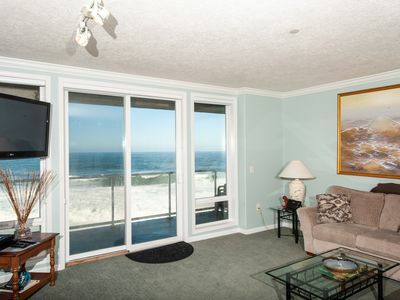 Gorgeous oceanfront condo w/ incredible ocean views, easy beach access! 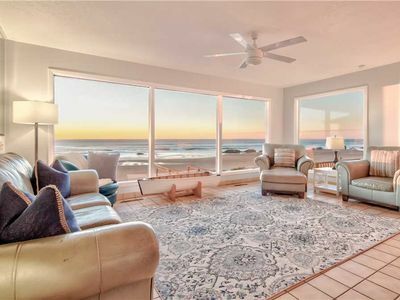 Cozy coastal condo w/ ocean view & close to the beach - dogs ok! 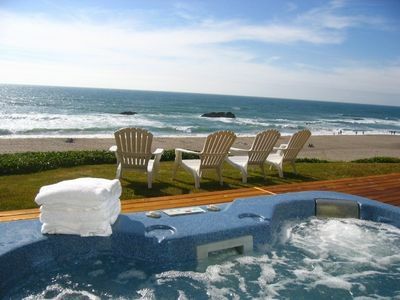 Oceanfront Palace with Private Heated Pool, and Sauna!